John Lavery was born in Belfast and trained in Glasgow and Paris. He was associated with the Glasgow School, but he moved to London in the late 1880s and became a successful portrait painter. 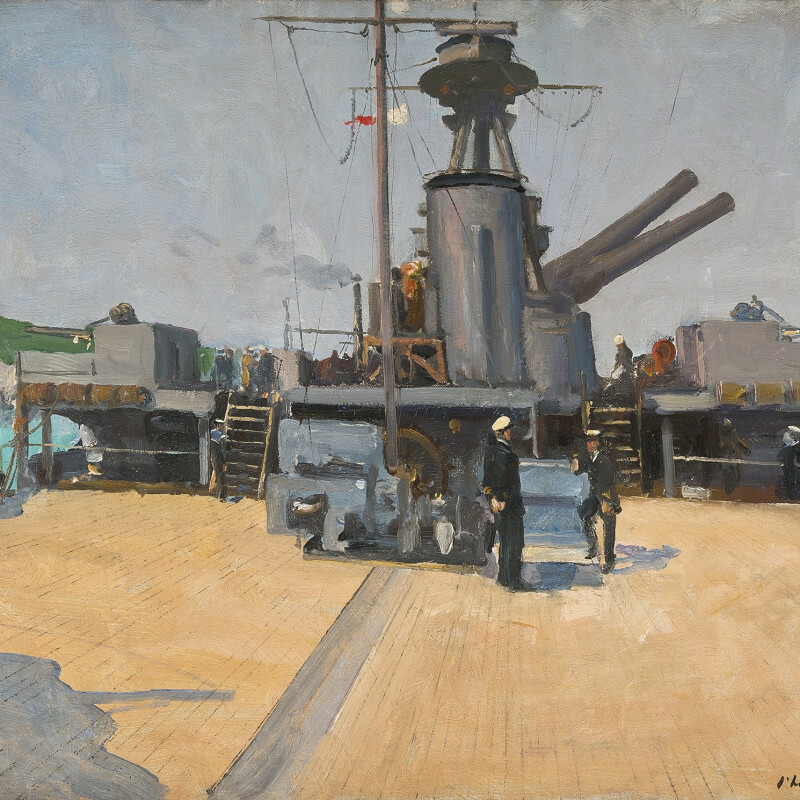 He was an official artist in the First World War, but was unable to travel to the Front because of illness, so much of his work was completed in Britain. Lavery was involved in the Irish War of Independence and the Irish Civil War, and was a great supporter of Michael Collins. He returned to Ireland in the 1930s, where he received honorary degrees from the University of Dublin and Queen's University Belfast. Lavery also maintained contacts with the Glasgow art scene throughout his life, through membership of Glasgow Art Club and exhibiting at its annual exhibitions.